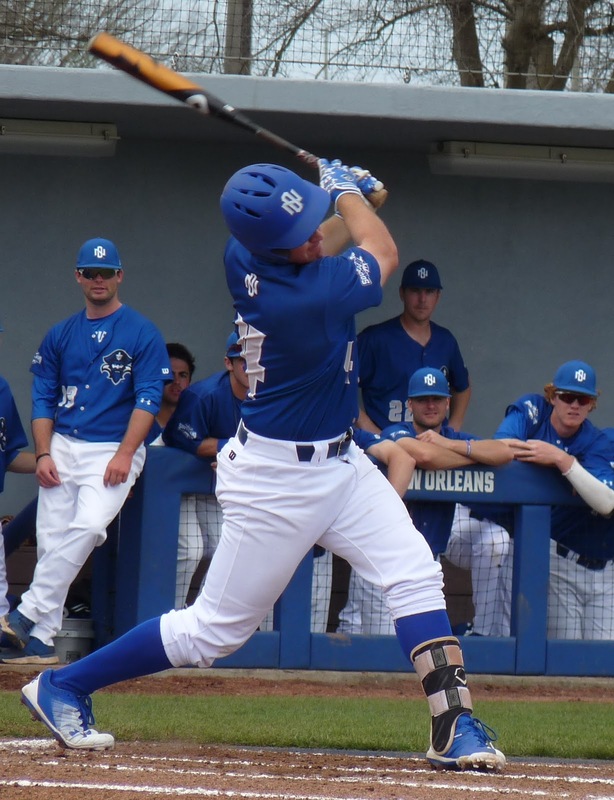 After taking two defeats in midweek games, the Privateers (4-4) rebounded with wins over Ball State and Virginia Tech before falling to Iowa while hosting the Sugar Bowl Classic at Maestri Field. On Friday night against Ball State, Bryan Warzek was dominant, firing 7 innings of shutout baseball while striking out 12. Collin Morrill doubled and drove in five runs to boost the struggling New Orleans offense, and Cody Ducote added a homer in the 10-1 victory. On Saturday, the Privateers were in and out of trouble all day, as the visiting Hokies of Virginia Tech mustered only two runs off 10 hits. Kyle Arjona got through 5 tough innings for the win, Owen Magee had his second homer of the week to power the offense (the first was at LSU), and Beau Bratton went 3-for-3 and blasted his first round-tripper in the 4-2 triumph. On Sunday, the Iowa Hawkeyes stifled the Privateers' attempt to sweep the Classic, jumping on Brayson Smith and Eric Orze early to establish a lead and win going away, 8-2. 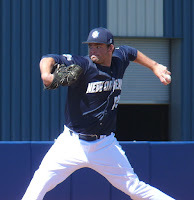 Ducote knocked in both New Orleans runs. Before the weekend, UNO endured some hard times, mustering just 4 hits off the SWAC's Jackson State in a 4-2 loss on Tuesday, then blowing an early 3-0 at LSU on Wednesday with a disastrous pitching effort and eventual 14-6 loss.